Aurora Public Schools says a dean at Aurora West College Preparatory Academy threatened his colleagues with a weapon on Wednesday. 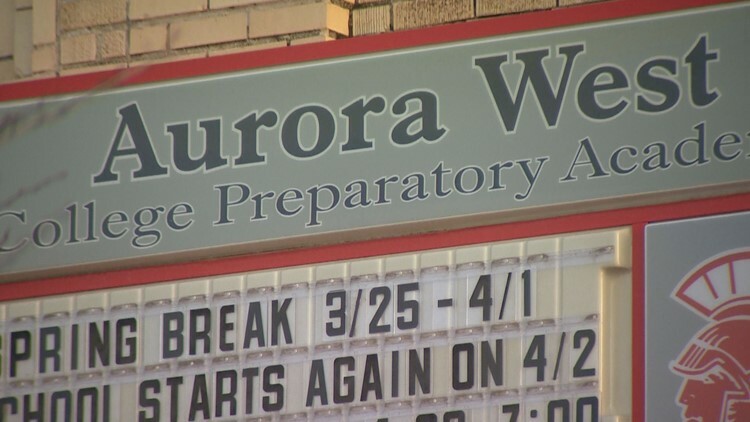 A dean at Aurora West College Preparatory Academy was arrested on Wednesday following a lockdown at the school. Tushar Rae is accused of threatening his colleagues with a weapon, according to a letter that Aurora Public Schools sent to parents following the incident. Rae is currently the dean of instruction for ninth to 12th grade, the school’s website says. He was taken into custody Wednesday afternoon by officers in Denver a short time after the Aurora Police Department said on Twitter that the school was on lockdown while officers investigated the "threat of armed party in area." A school spokesperson said Rae did not make any threats against students. The district has since placed him on administrative leave, and he is not allowed on school grounds pending the outcome of an investigation. Aurora West College Preparatory Academy is located at 10100 E. 13th Ave. in Aurora.